Soir de Semaine rouse the soul with their original lively music while fusing Franco-rock with ska, reggae, folk and funk. On stage Soir de Semaine create a visually rambunctious show, dressing up in costume and painting their faces. The band has play shows in schools, bar venues and especially festivals. 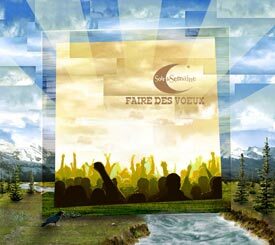 Soir de Semaine has been rockin’ the Yukon and the rest of Canada since 2003. The band believes interaction is key to any performance, and they engage their audiences to participate in the show, bringing the joys of music and performance and creating an atmosphere of fun around them.